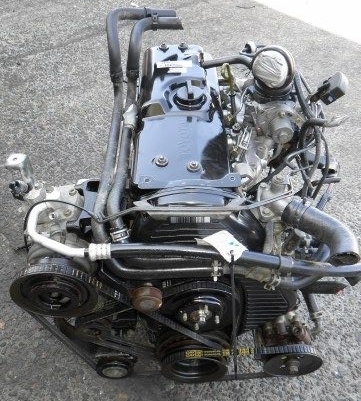 The 5L-E is a 3.0 L (2,986 cc) EFI version of the 5L engine. It is the latest member of the L family. It has a bore of 99.5 mm and stroke of 96.0 mm, with a compression ratio of 22.2:1. Output (as fitted to the Hilux is 97 PS (71 kW) at 4,000 rpm with 192 N·m (142 ft·lb) of torque at 2,400 rpm.Power output varies according to fitment. The engine number is found on the top face of the block at the front of the engine.